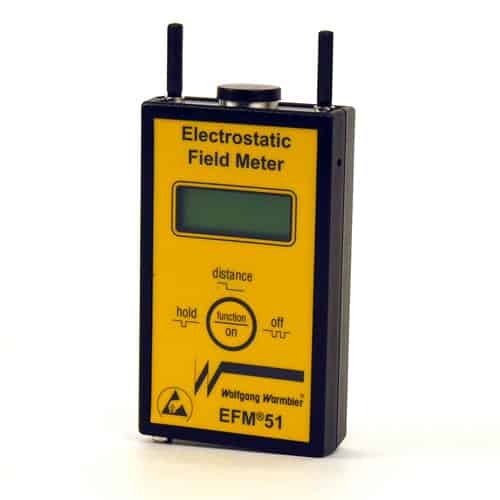 The Wolfgang Warmbier EFM51.CPS is used to measure and evaluate an ionizer’s efficiency as well as fully functioning field meter. 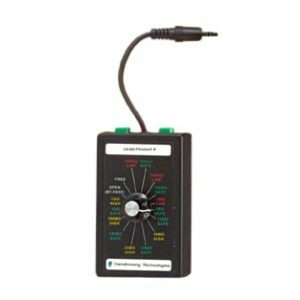 The EFM51 is a full-featured hand-held field meter used to evaluate ESD ionizers efficiency as well as perform static surveys and evaluate charge accumulation in electronic manufacturing and in industrial operations. 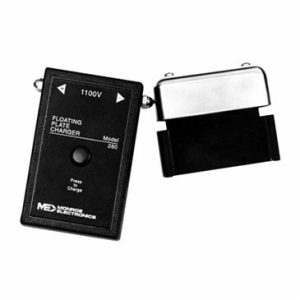 The meter measures the decay time from +1.000V to +100V or -1.000V to -100V with its integrated start-stop timer. The plate is charged manually via the handheld high voltage generator. 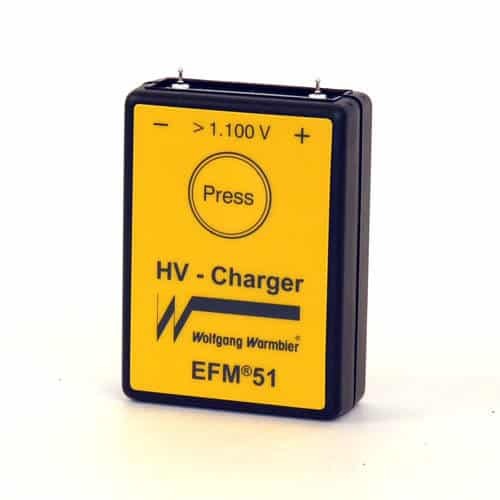 The EFM51 measures static voltages within ±20kV (20,000V) with a microcontroller that calculates the field strength (V/m) with a pre-selected distance (1cm, 5cm, 10cm and 20cm). Results are displayed via a 12 digit alphanumeric LCD screen. 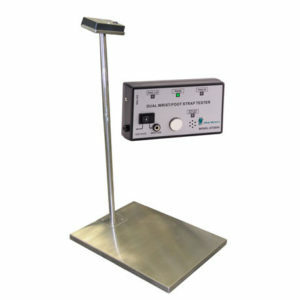 Two LED guide ring lights help position the field meter at the right distance from a charged test object. 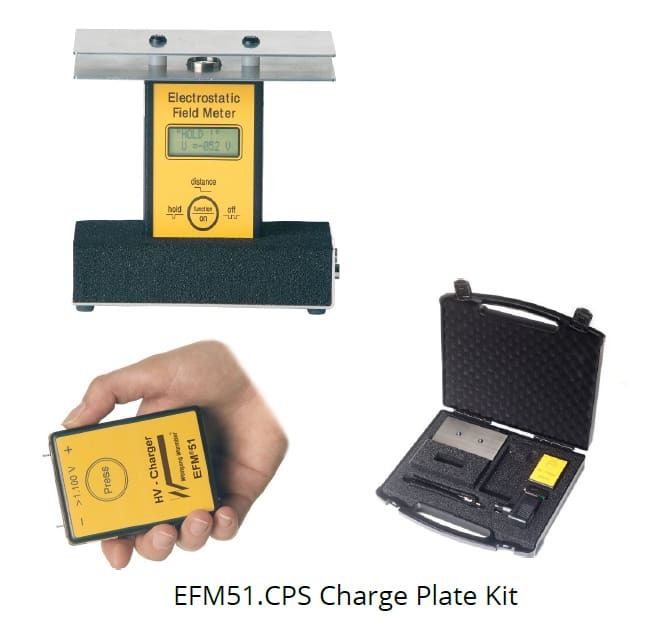 The EFM51 meets periodic test requirements per Compliance Verification ESD TR53 and conforms to ANSI/EOS/ESD (S4.1, S7.1, S12.1, S2.1). 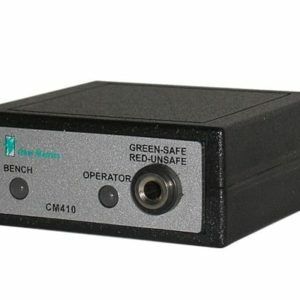 Measures the decay time from +1.000V to +100V or -1.000V to -100V with its integrated start-stop timer.